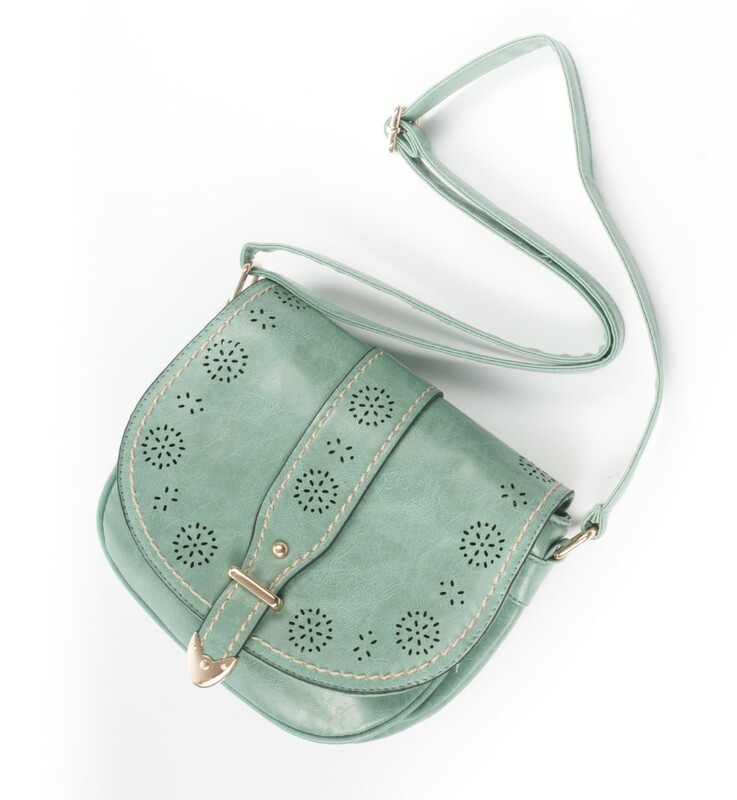 A beautiful spring green small handbag, lightweight and stylish. Made from "Faux Leather" polyurethane. - 3 Inner pockets 1 with zip fastening. - Main compartment zip fastening. - Front piece claps fastening.